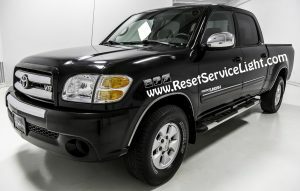 Do it yourself, clean or replace the throttle actuator on your Toyota Tundra, made between 2000 and 2006. You will require 8 and 10 mm socket wrenches and carburetor spray if you wish to clean the piece, or a new throttle actuator body if you need to replace it. 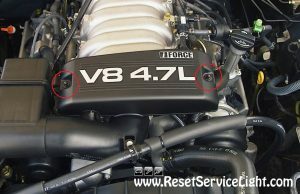 In the beginning, open the hood and locate the throttle body plastic cover. It should look like the one in the picture below. You have to remove the bolts that secure it, using an 8 mm socket wrench. 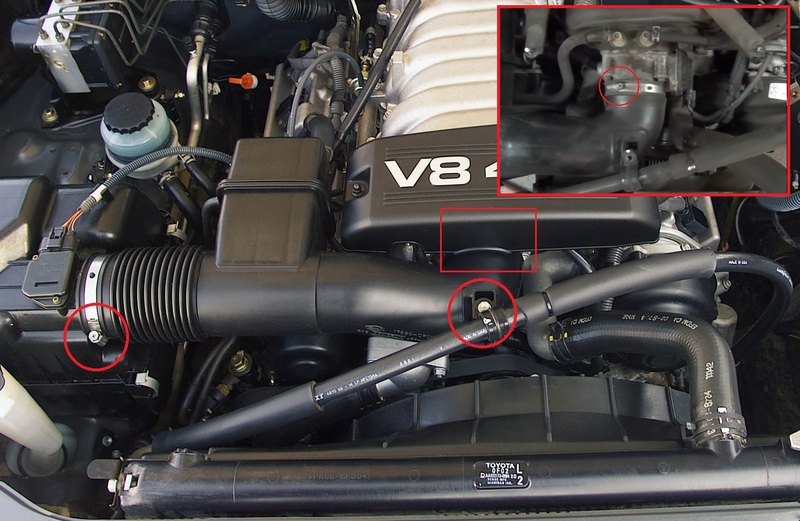 After you do it, using the same socket wrench, detach the intake hose by unscrewing the bolt marked below and loosening the two metal collars. These collars have also provisions for flat blade and Phillips screwdrivers. Choose your most handy tool and remove the intake. 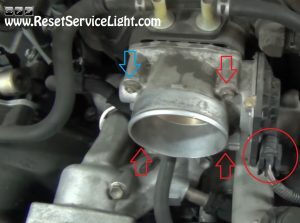 This will give you access to the throttle body, that is held by three bolts and a nut (the nut is marked with blue in the next image). You can undo them using the 10 mm socket wrench. You will also have to unplug the throttle actuator harness. After you do it, detach the throttle and clean it thoroughly with carburetor spray. 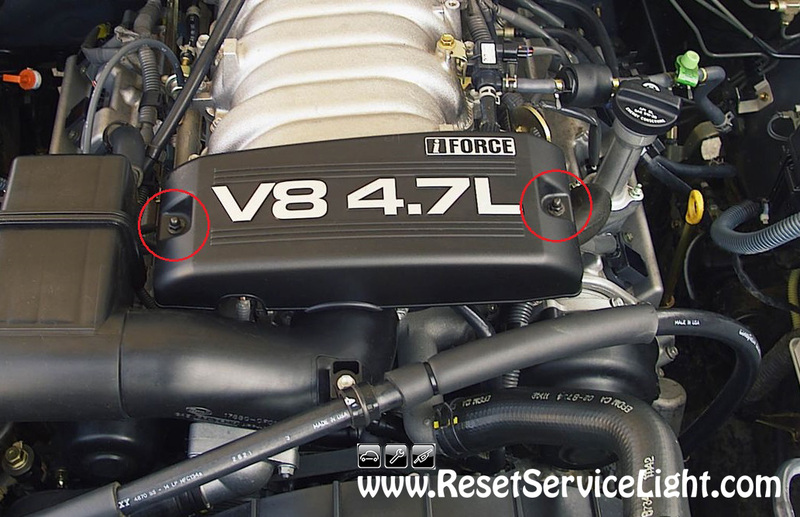 Even if you replace the piece, you should also clean as good as you can the upper air intake. 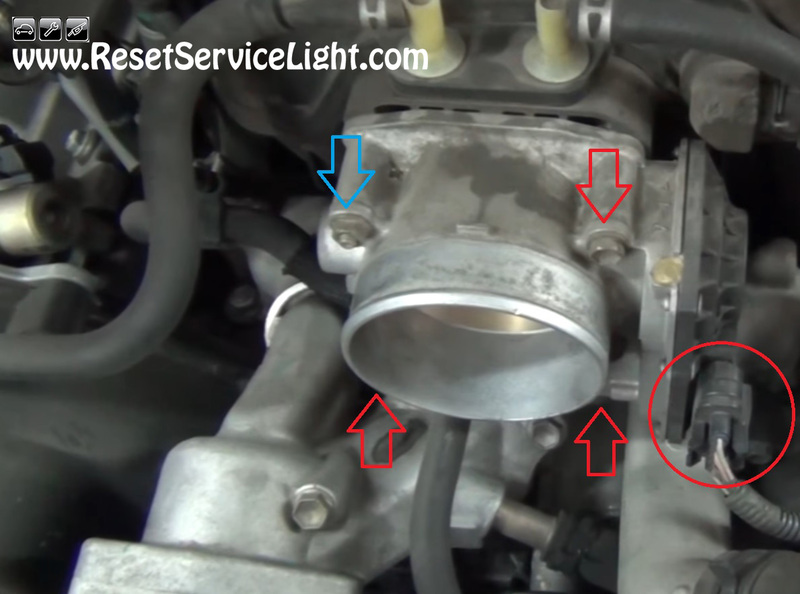 Spend some time on the throttle body and actuator plate if you wish to clean the piece. After you finish, install and secure the throttle back. 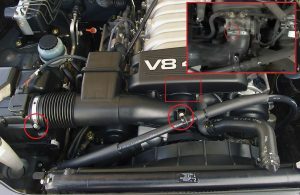 Plug its connector, reinstall the intake hose and secure that plastic cover above, using the two bolts. This is all you need to do if you wish to clean or replace the throttle body on your Toyota Tundra, produced between the years 2000 and 2006.